Automobiles are complex vehicles. Every part of their “body” has a predetermined position and function. Transmissions are one of those vital elements of the car skeleton that make it possible for it to move. And just like everything in automotive industry, they are constantly put through various changes – shaping them according to the progressive vehicle needs and innovations. Manual one is the first known transmission to be used in a vehicle. Gears could be changed via stepping on the clutch pedal and placing the gear-shift on the proper gear-position. There was a time when all cars were coming out of the production plant with manual transmissions. Today, manuals are not common. Some drivers refer to them as “too primitive” and “heavy”. Despite this, some enthusiast prefer them, because such transmissions give them full control over the car and makes it easy to feel and connect with the car. Interesting fact –The French are “to blame” for coming up with the idea for manuals. Panhard et Levassor ( today just Panhard) company founders Rene Panhard and Emile Levassor were the first to shape and introduce to the world the very first version of manual transmission back in 1894. 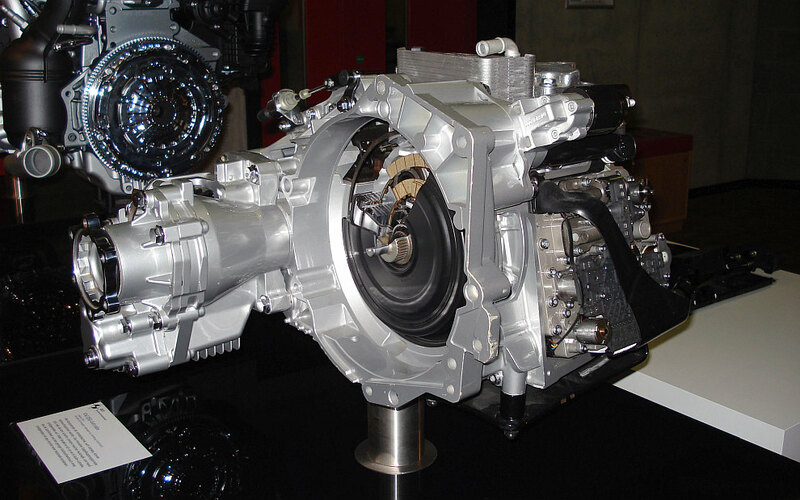 Automatic transmission is another commonly used type in auto industry. Some call it “better” version of the manual one. What differs it is that all actions are automatically being made by a computer system in the car. There is no need for a clutch pedal or a gear-stick. The change of gear-shift ratios is done by a planetary set of gears. Gear modes are : R-R-N-D. Where P means Park, R – Reverse, N is for Neutral and D is for Drive. The automatic starts to work when the car is shifted to D.
Huge number of drivers find automatic transmission very helpful. This type of transmissions is easy to use and takes off a huge amount of pressure from the driver. Most of modern cars are produced with automatics. Compared with manuals, automatic ones maintain higher price tags. But people prefer to drive comfortably, without any concerns, so it is natural to think that they are ready to pay the asked price. History fact: Automatic transmission was invented in 1921 by a Canadian engineer and inventor Alfred Munro. And since then, it has gone through many significant alterations to fit in the ever-changing automotive development. One of those various developments resulted in creating continuously variable transmission, or as many called - a CVT. What differentiates it is that instead of set of gears, engineers have replaced them with a non-symmetric pulleys – an input (larger) and output (smaller) one, placed in opposite directions. Vehicles with a CVT have acceleration and brake pedals. Just like regular automatic transmission, CVT is highly preferred by car owners for many reasons. Aside from making driving more easier, it helps the engine make a smooth transition from one gear to another, without drastically loosing its power. This type of transmission makes it possible for the vehicle to accelerate quicker while being at the same time in a fuel economy mode. Which brings us to one major advantage of CVT – generating significant fuel efficiency. CVTs are a common sight under the hood of high-performance vehicles, thanks to their ability to handle quite well shifts between gears (as mentioned above). Along with that, automobiles with a CVT transmissions are not easily baffled by rough terrains. This is because of the ratio variations, caused by the pulleys. There are, however, few disadvantages by driving a car equipped with a CVT. One is the high price tag. CVT repairs are not a common thing in the automobile world. Sometimes, car owner just could not adjust to the sound that comes out of the transmission. Some find it a bit noisy, compared with the regular automatic and manual transmissions. Others just seem to dislike the tone of the noise or the way it looks. As for the latter, engineers have given their best to transform it into something resembling a regular manual transmission. Different alternatives of CVTs could easily be found incorporated in most hybrid car models today, which speaks of how popular among engineering departments they are. Few years back it was common belief that continuously variable transmissions’ lifespan was too short, compared to those of the standard automatic. Nowadays such things are being labeled simply as a misconception. Interesting fact: Leonardo da Vinci is the first one to come up with the vision of a CVT and to sketch it on paper. Another modern variation of the automatic transmission is a dual-clutch, or simply know by its DCT abbreviation. It is also called semi-automatic. It resembles the manual by using incorporated clutches but missing the clutch pedal. As its name states, it has 2 separate clutches incorporated. Gears are divided between them so one would be responsible for gears with even numbers ( 2,4, 6 for example), the other one – with odd ( 1,3,5 and Reverse). The fact that DCT is missing the clutch pedal means that there is something else, replacing it. In this case it is a combination of computer, solenoids and hydraulics that carry out the processes in the transmission. Different buttons are being placed on the gear shift, enabling the driver to remain in control of the car even when the automatic kicks off. Drivers may choose to shift gears by themselves or to let the vehicle’s computer do this. Just like with the CVT, the process of speed acceleration is smooth and the vehicle reaches a significant fuel efficiency. This type of transmission has some variations depending on the automobile it is been used for. For example, when it comes to race vehicles, DCT turns into sequential manual gearbox. As for regular vehicles it could remain DCT or be named direct-shift gearbox. It is interesting to mention that some iconic car makers have adopted the Dual-Clutch transmission and even tailored the mechanism to resonate with the vehicles they produce. For example Porsche have their own variation of the DCT and it has been called PDK (Porsche-Dual Clutch). Volkswagen also have adjusted it to fit their preferences and named it Dual Tronic. History fact: Father of the Dual-Clutch transmission is Adolph Kegresse. In conclusion, there are four main types of transmissions: manual, automatic, continuously variable and dual-clutch. Each one of them has its pros and cons depending on driver’s personal preferences and vehicle’s design. There many derivatives of the mentioned transmissions, but they are all based on those four.